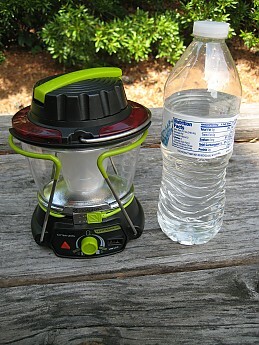 Fun, little lantern that would make a great addition to a family trip. I wouldn’t recommend this for someone getting ready to head out on a backcountry trip, but it does serve its purpose as a lantern very well. 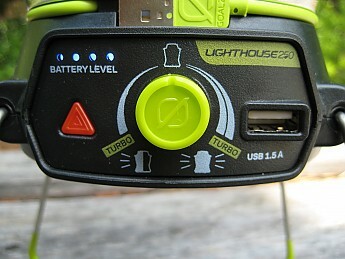 The Lighthouse’s secondary features of hand crank charging and ability to charge external devices make it a unique package, but don’t get too caught up in these features as the lantern is the main attraction. I’ve always owned some sort of hand-crank chargeable device. This is the newest one to my collection. At full price this lantern is $80 and comes in at 1.1 lbs. The Lighthouse has three settings: 360-degree illumination, 180-degree illumination, and a red blinking (emergency) mode. Its 360-degree feature at the highest brightness gave me about 50 ft diameter of usable light outdoors. From a backpacking vs. car camping standpoint, this is easily an option for car camping, not to mention being a useful all-around lantern or light which can be used around the house. 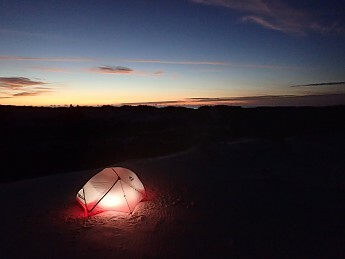 For backpackers concerned with weight and liters in their pack, there are other lighting options which for the price can achieve the same results. I found a Black Diamond 200 lumen headlamp for the same price which offers a strobe function and both white and red light output. Of course, the reason for using each is different, making a comparison bit misleading. Considering apples to apples, I saw in store a Black Diamond lantern (D battery operated) that was the same price, heavier (without the batteries installed) and also bigger. In this way and not considering other features, the Lighthouse is superior. 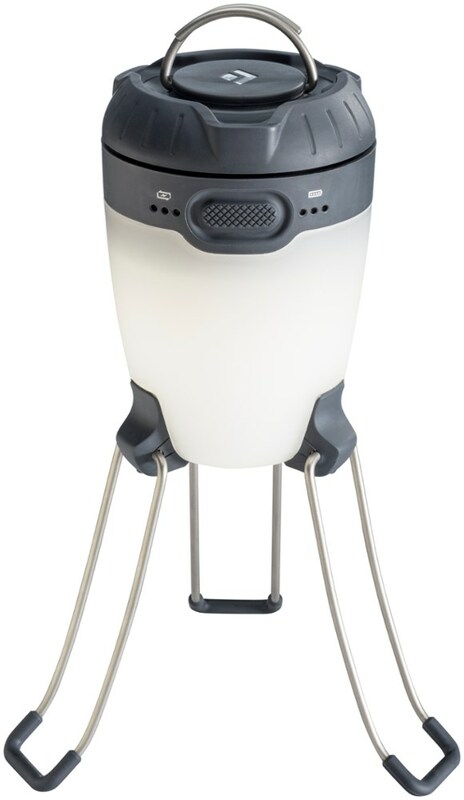 For this review, I am assessing this lantern for the purpose of a being used for car camping, using it in your backyard for late night hang outs, or even for something such as housework underneath a kitchen sink. The dimensions and other features which I’ve tested at are below. The Lighthouse overall seems very durable (see hand crank under “How to Charge the Lighthouse”). It is primarily plastic and metal. The enclosure around the bulb is hard plastic as is the rest of the body. The legs and handle are metal with the legs having a rubber coating making it more nonstick when extended. The knobs and USB port and cable are attached securely, no problems there. To describe it in a few words would be: compact, lightweight, and well-made. The handle on top is a bit narrow. Anyone with larger knuckles than me would have trouble grasping it firmly unless they wanted to hold it in the classic “daughter’s tea party with your pinky out” sort of a way. For hanging, it’s very secure and can support the lantern’s weight. 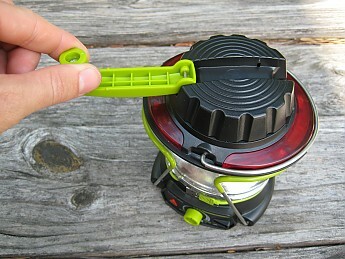 The dial on the front of the lantern allows three different settings. 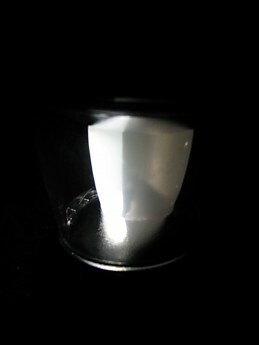 There is an emergency mode which illuminates a strip along the top of the lantern. This flashes red to act as a beacon. The regular lantern light can be turned on at the same time. This is helpful in that the actual emergency light by itself is sub-par in my opinion for drawing any attention to a person. The red light strip is more easily seen from above (perhaps that is the point, vantage from above as opposed to from ground level). Nevertheless, if the emergency mode is turned on in the woods, I would think it would be difficult to see from above. Used in conjunction with the lantern light seems to be better. The second option is a 360-degree illumination of the main light. The dial moves very smooth to adjust the lighting, going from low to turbo (same for 180-degree). Goal Zero has designed the actual dial to show “turbo” and that’s exactly what it is. At 250 lumens I first turned it on in my house, blinding! Again, if out late night with a crew of boy scouts or your family, it makes nighttime camp life very easy. 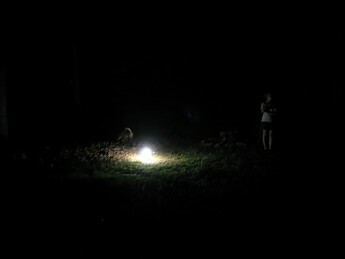 It is difficult to accurately see depth from the night photo below, but it clearly illuminated a radius of about 25 feet from the lantern. This is at the 360-degree, turbo setting (~2.5hrs run time). The third option is a unique 180-degree illumination. It’s actually great for holding the lantern in front without being blinded all around at the same time. The handle is not lined up with the 180-degree separation; the handle runs perpendicular to the lateral cut of the on/off separation. This way, if the lantern is held to your side (naturally with your thumb facing forward), it is a clean cut off of light ahead on the trail and non-illuminated behind. It’s a little more awkward if you try to hold it immediately in front of your face because of the placement, but at your side it works great and is comfortable. It may be difficult to see, but my wife is in the picture for some scale on the brightness; she's about 13-15 ft away. There are two ways to charge the Lighthouse, either via the USB cable which is attached and wraps/snaps around the mid line of the lantern (details on the charge life are described in the following section). The hand crank is a cool feature, but as soon as I took it out of the box, I knew that I would not be relying on it as my main power source. It is fine to charge up for limited periods with it being advertised as one minute crank (at certain RPM) results in 10 minutes of light on the low power setting. After I let it drain I tried this and it lives up to its 10 minute +/- depending on how quickly you crank. Having said that, the crank handle seems a bit delicate when it comes to its purpose. The thumb/forefinger grip could be just a little larger and this grip seems like it would be one of the first things to snap, making the crank application pretty difficult. Cool feature to get that extra juice, just be careful when cranking. For me, I have just been using the plug/USB port that I normally use with my phone. This way it can be charged and I don’t need to have it directly connected to a computer. 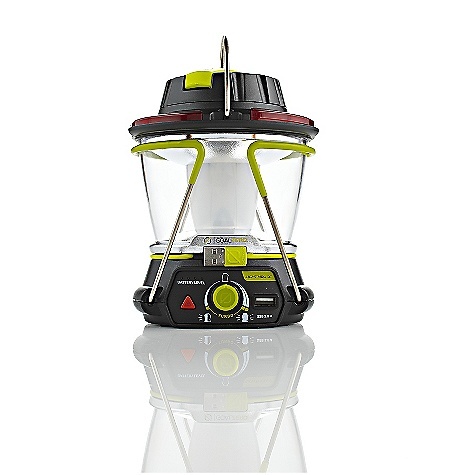 There are two things to consider: (1) how long does the lantern take to charge up and (2) how long does it maintain its charge while operating. I drained the lantern battery down to zero and from the phone wall plug; it took approximately 7.25 +/- hours to get all 4 battery level lights up to blue (full charge). I checked it every 15 minutes or so until I got all 4 level lights to show non-blinking. When charging, the blue battery level lights will blink. When it is fully charged, all will be static blue. It is advertised at 7 hours via USB, accurate for me. Good to charge overnight and have it ready by the next morning. For me, how long the light lasts is more important than how long it takes to charge. According to the packaging, there is a 48 hour, non-stop run time on the 180-degree feature low setting and 2.5 hours on the 360-degree turbo setting. This gives you an idea of the longest of long and the shortest of short as it were. I tested the duration of the 360 on turbo closer than when I charged it up and it lasted 2hrs 34min and then the light began to blink for 2 min, after which it shut off. At its advertised 2.5hrs, it is spot on! I charged my smart phone (I let it go completely dead) and it took approximately 3 hours 10 minutes. In addition the lantern was fully charged before, but after it had 2 battery level lights; so about 2 full smart phone charges per fully charged lantern. The blue battery level lights illuminate during the charging process so you can see how much remains. I'd recommend putting your phone in airplane mode and quickly charge up your phone; the 3 hrs 10 min is just in its regular options, not airplane mode which should be faster. I have charged a phone and a Kindle and it hasn’t been a problem (perhaps not as efficient as plugging straight into the wall outlet), but if you’re out at a campsite and a phone is running low, it’ll get the job done. 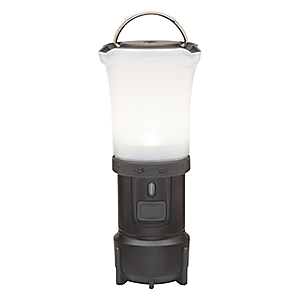 Both the lantern light and external charging can be operated at the same time. 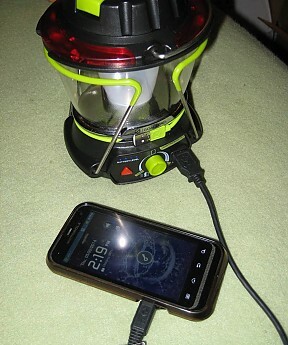 Just keep in mind the trade off between charging your device and amount of charge that will be remaining on the lantern. Like most electronics I get, I like to take them apart at some point…and hopefully put back together and not have any pieces remaining. When I was looking at the Lighthouse, it seemed to be an issue when I was wondering how I could easily replace the bulb if it burned out; on that same note, I was curious about the battery. It’s always something to consider when using a rechargeable device that does not use external battery sources. When looking online further to find an answer, Goal Zero’s Q&A section included this regarding the battery (not necessarily the bulb): The lithium battery inside of the Lighthouse 250 is rated at hundreds of cycles. This unit will last you anywhere from 4-10 years. Plenty of use for the average lantern, but I was still not able to find anything on the possibility of the bulb being replaced other than it going out under the warranty period. This is something that I hope I don’t have to worry about, but it is issue to consider. When I was testing it on the turbo mode, 360 degrees, it did not get excessively hot. Something we don’t think about, but from start to finish it was just slightly warm to the touch. Nothing more than a phone using GPS as an example. For me this would be important if I were on a family trip, this way I don’t have to worry about anyone being injured by hot areas. My wife won this in a contest and it has been great to use over the past few weeks. At $80 it’s a bit steep for the features it includes if I would have purchased myself. There is definitely no arguing that the light itself performs really well, especially with the 360/180 mode and ability to max at 250 lumens. The hand-crank is cool, but its actual application may not be as relevant. At the same time it can be handy to use when one min of crank can be 10 min of low light. In the same vein, being able to charge smart phone or tablet can be handy, possibly lifesaving, but its efficiency should not be a key factor if someone were thinking about purchasing. Great lantern, and useful bells and whistles. Cheers! SOLID review, Daniel! You have really been writing some awesome reviews lately, sir! Oh yeah, I remember your reviews :( But yup, I have an 3 y/o Android-powered Motorola (runs Gingerbread). Something newer may need more juice and time. I definitely recommend charging it in airplane mode or while it is off to make the most out of the lantern's battery. If I get a hold of my folks' newer phones, I'll give it a whirl and update! 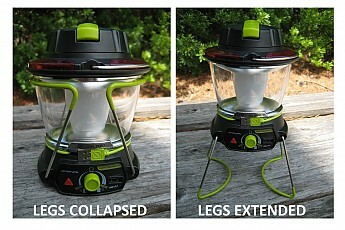 This is a super lantern for canoe camping or even for car camping. It is very adjustable and can be set from very low lighting to super bright. It is a great little light that you can use to charge up your cell phones or MP3 or almost anything that you may have that can be charged with a USB cable. You can charge it up before your trip from your computer or even plug it in at home in the wall socket or in your car's cigar lighter. And if you need you can use the built-in hand crank or buy an optional solar panel. 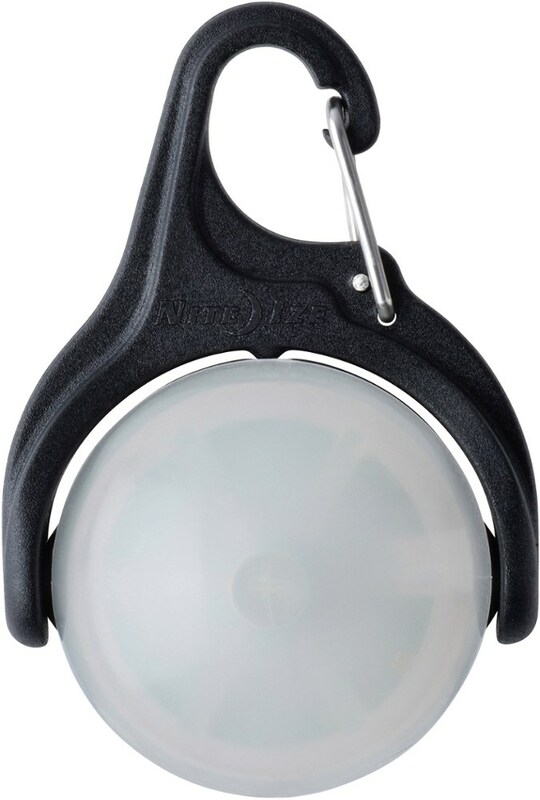 This is a very light and easy to use light that's great for camping or even for emergencies at home. 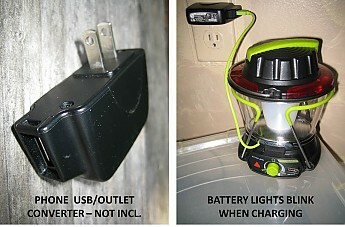 It works great for emergency charging of your cell phone or outdoor equipment. You need to buy the solar charging panels and the different cords you may need to fit the things you may want to charge with it. I used Goal Zero Lighthouse on my weekend canoe trip on the St Croix River. I found this light to be a very bight camp light and I used it to recharge my cellphone. I had to hand crank the light a couple of times to recharge the batteries in it, but it was an easy simple thing to do and it din't take long or much cranking to keep the light shining bright. 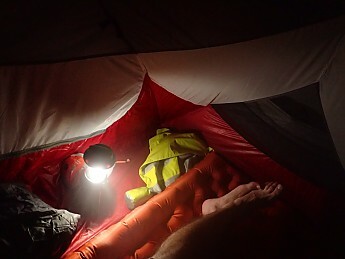 It was great for lighting up my camp while I made dinner and when I decided to take a night hike I turned the light off and hung it from a tree branch and I left only the red Led lights blinking so I could see my camp site from off in the distance. It has a good handle that folds out of the way when not in use to carry or hang it with. I charge this lantern up by plugging it in to the wall at home before I left and found it to be great for use around the house when I take a walk out to the garage or out to get something from the car. 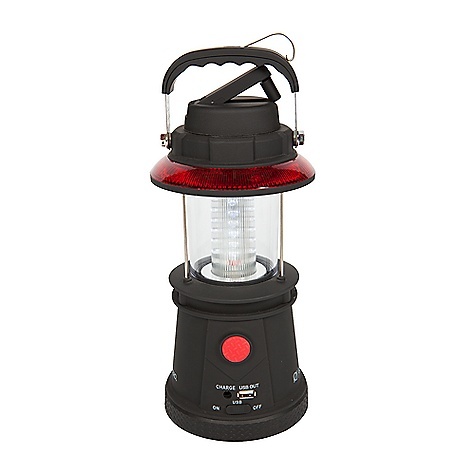 This is a very light and well made lantern that's great for camping and I will be taking with me on all my car camping and canoe trips. It's not a light to take on a long backpacking trip, but I won't leave home without it when I'm off in the car or on the motorcycle. 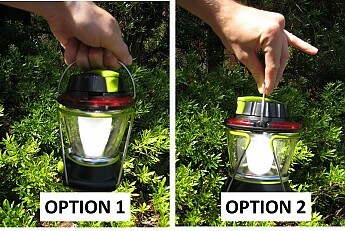 Great little portable solar powered lantern that can also charge your handheld gadgets. 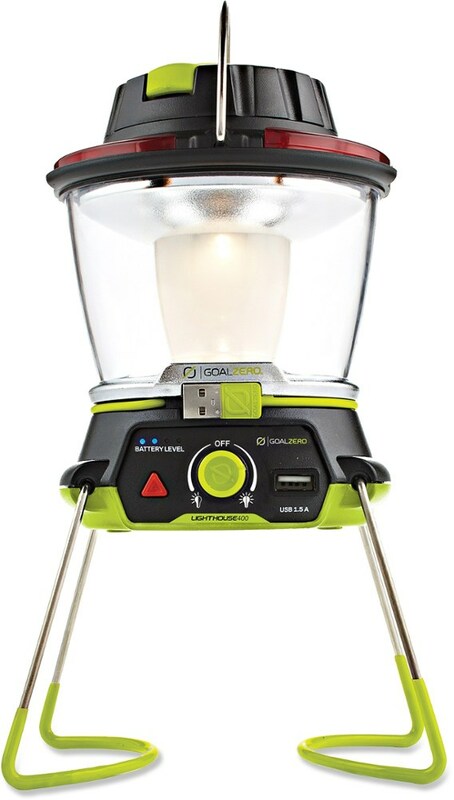 Was fortunate enough to win this fabulous solar powered lantern from Goal Zero. I received it in time for my camping trip. It also came with the car charger, in addition to a solar panel. It came to me already charged and we did not use it until the power ran out, so I cannot comment on that. Very easy to use and you can easily adjust the brightness. It is able to recharge a small handheld electronic devise, but have not tested that out yet. Since it is LED, it is cool to the touch. The rechargeable battery is replaceable. 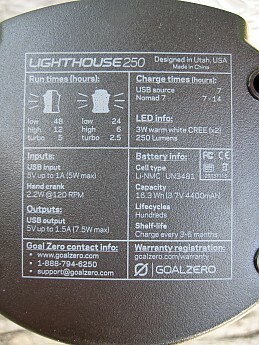 The Goal Zero Lighthouse 250 Lantern is not available from the stores we monitor. It was last seen October 31, 2018	at REI.